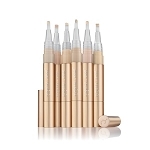 The jane iredale Circle/Delete is an eye treatment as well as a dark circles concealer. Circle\Delete #1 combines a light and medium yellow. Circle\Delete #2 combines a light and medium peach (especially good for neutralizing blue circles). Circle\Delete #3 combines a deep yellow and a deep brown. Contains vitamin K. Vitamin K is thought to repair the blood vessels and act as a skin bleaching agent to help fade hyperpigmentation. Contains jojoba ester and avocado oil, both high in vitamins A, C, D & E to nourish the under-eye area. 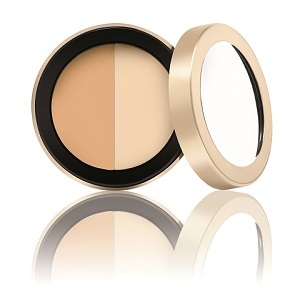 I have redness & dark circles under my eyes and this concealer provides excellent coverage that lasts all day. It goes on smoothly, doesn't crease and looks natural. I highly recommend this product. I have serious (not kidding) dark circles under my eyes, and I honestly could not live without my Jane Iredale Circle Delete! It is without a doubt the very best concealer I've ever tried, and as you can image, I've tried a ton. 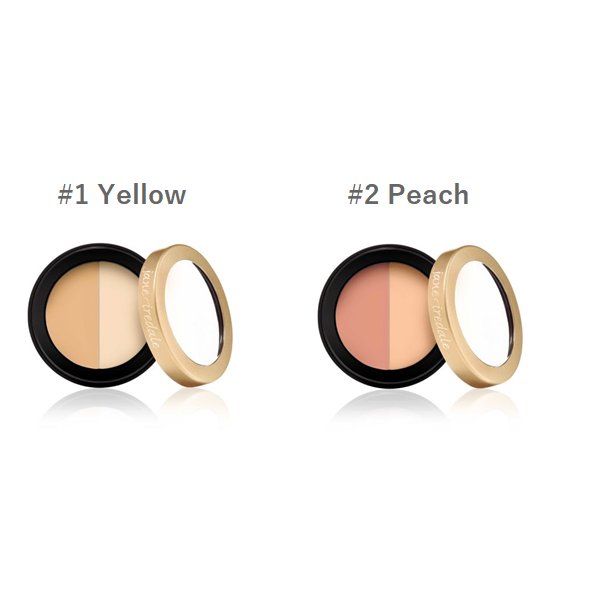 I use the lightest shade, number 1 (yellow) and can use both sides so there is no waste. It goes on smooth and creamy, but not thick, dissolves into my skin perfectly, and stays on all day. Worth every penny. this was recommended to me by my doctor after reconstructive surgery for skin cancer on the lower lid. When i put it on you can hardly tell I had surgery. It really conceals. Would never use anything else again!!!! Perfect color. Perfect creamy consistency. The peach color in this duo brightens the eye area, creating a wide awake, understated fresh look. Because a little goes a long way, there is very little creasing. I've messed around with replacements and always come back to Circle Delete #2. With Iredale you get what you pay for - FIVE STAR EXCELLENCE. I do really like this concealer, best I have found. I LOVE IT! I have found my concealer. I like applying my foundation with a brush. I lightly pat over the concealed area and my foundation blends so nicely. This is the best concealer I have ever used! Apply with Camouflage Brush and pat the eyes with a sponge or a finger to feather.